The successor of the 18.4-inch Samsung Galaxy View has recently surfaced on Geekbench. The Galaxy View 2 runs Android 8.1 Oreo-based firmware and apparently features a 17.5-inch display. 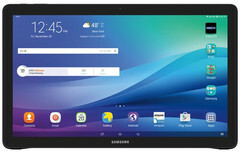 This large tablet for media consumption is rumored to arrive soon in the US via AT&T, but nothing is official yet. 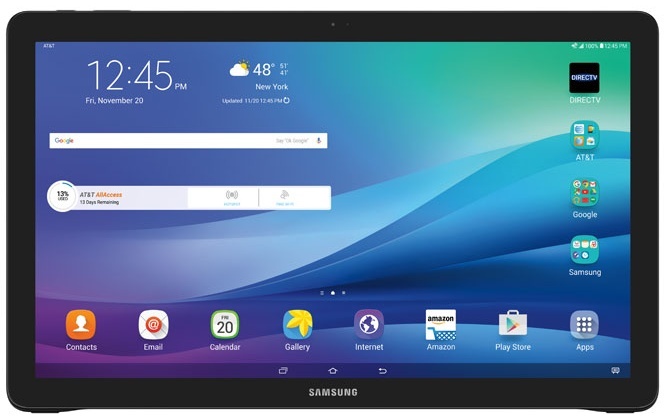 The limited availability of the Samsung Galaxy View and its rather high price made many believe that this large slate would not get a successor. However, it seems that Samsung is working on the Galaxy View 2 and the US market should get it in the coming weeks via AT&T. According to multiple rumors, the Galaxy View 2 has a 17.5-inch display, noticeably smaller than the 18.4-inch touchscreen of its predecessor. The Geekbench listing for the Galaxy View 2 shows a device with 3 GB of memory, an Exynos 7885 processor, and Android 8.1 Oreo. Obviously, it is a solid chance that the commercially available Galaxy View 2 will ship loaded with Android 9.0 Pie-based firmware. For now, the official launch date of the Galaxy View 2 (SM-T927A) slate remains a mystery. However, insiders familiar with the matter revealed that this massive Android tablet will hit the US via AT&T at launch. Since this device received its WiFi and Bluetooth certifications five months ago, it could hit the market in the coming weeks. Are you one of those who acquired the original Galaxy View? Do you think there is enough demand for such devices or not? Feel free to share your thoughts with us in the comments section.